This year, our Doshisha University celebrates 132 years anniversary since its establishment in 1875, when the founder Jose Hardy Neeshima (Joe Niijima) returned from the States where he had entered, though, having violated the nation's law to prohibit going abroad. He learned physical science and theological seminary over there, then, established Doshisha University which has eventually become the university with the longest history and tradition in Japan. Under such culture, there had been brought up from Doshisha, Bunji Uraguchi (ref. note 1) (1872-1944) who climbed so many mountains in Japan with Walter Weston, a British missionary and Ekai Kawaguchi (ref. note 2) (1866-1944), a Buddhist priest and the author of Three years in Tibet, who entered there when that country had completely closed the door to the outside world. The tradition of Doshisha to rove over hills and dales in the suburbs of Kyoto gradually began to give influences to students of other colleges and universities in Kyoto, Osaka, Kobe and Tokyo who began to climb mountains and their passion eventually caused them to organize their activities and name them as such, Travel Club, Alpine Ski Club, Alpine Club, etc., in each college and university. Roughly 40 years after the germination days of "to climb hills and cross rivers", the modern mountaineering which pioneers of natural history and university students had sought for, but, that is different from Western alpinism, started in Japan, which was an entire departure from mountain climbing exercises originated in early 8th century and carried on by old religious worshippers. With an introduction of art of ski to Doshisha in 1916, D.A.C started the mountain climbing with skis in winter. It was a cradle time of winter climbing. Around that time, competitions of exploring various climbing routes of mountains in Japan were much intensified among Japanese alpinists. 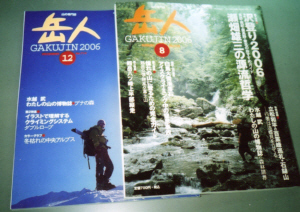 By this time, in the mountain climbing scene in Japan, normal mountaineering was about to start, mainly supported by students, as well as by naturalists, literary men, photographers and others. 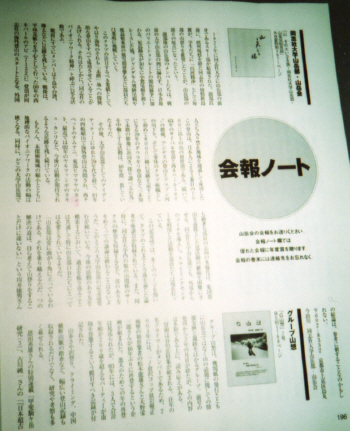 In 1932, a team with Kanji Kojima (ref. note 3) as a central figure, went to Northern Kuril islands and climbed mountains as well as conducted various research activities. They spent many hours especially in Chikura volcanic columns located in the south-western part of Paramushir Island. In 1934, they climbed mountains in the northern part of Korea and then, after having ascended Mt.Paeku, made a grand traverse of surrounding mountains. In 1935 and beyond, they made expeditions of the north-eastern mountain range of Sakhalin(ref. note 4), while they made expeditions of the South Sea Islands including Java island as well as Taiwan. 3. Overseas expeditions including the Himalayas etc. In 1960, DAC made the first ascent of Mt.Api (7,132 m) (ref. note 5), the highest peak of West Nepal on 10th May. Y.Tsuda, Leader and Katsutoshi Hirabayashi, Deputy Leader, the summit attainer and 3 others. *	Mt.Gurla Mandhata (Mt.Naimona'ny 7,694 m), which they had once seen from the summit of Mt.Api was set as the next target for challenge and they achieved it twenty-five years later. 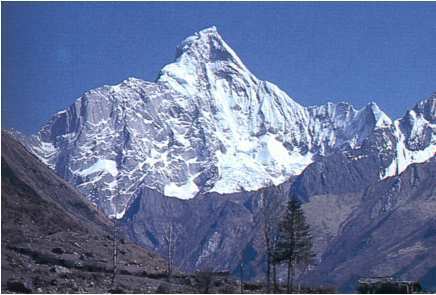 In 1963, the second Himalayan expedition of DAC attained the first ascent of Mt.Saipal (7,040 m) (ref. note 6) on 21st October. 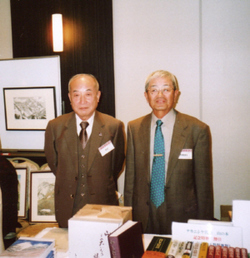 Kanji Kojima, Leader and Katsutoshi Hirabayashi, Deputy Leader, the summit attainer and 4 others. *	The feature of this expedition was that, since the team was unable to obtain a permit to pass through the " Inner Line " this time, they had to move up toward north through a deep forest of Terai of Kanchanpur, the most south-western end of West Nepal. 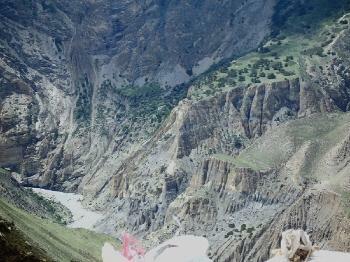 It required 43 days to reach Saipal Glacier via villages of Silgarhi Bajang. 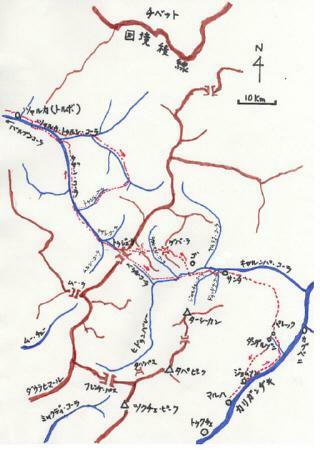 *	After having attained the summit of Mt.Saipal, the team was split into two, One party made a scientific expedition of a total distance of 600 km, moving around the northern side of Kanjiroba Himal and traveling along the upstream of the Langu river to Pokhara via Tolbol area, thus, traversed Nepal from west to east for the first time in the world. 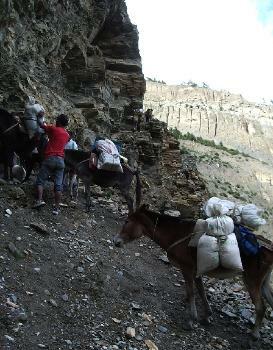 The other party made an expedition from Sija to Jumla, and, then, moved down south to Nepalganj via Dailekh. This expedition was highly evaluated in the world as an outstanding achievement. 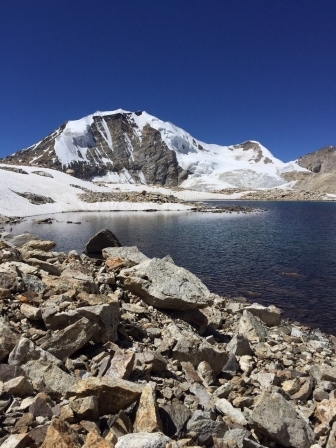 Made the ascent of Mt.Regal (4,212 m) and also continued scientific research of glaciers and others. In 1965, D.A.C made exploration and mountaineering activity in the Andes and Amazon (A-A project). (ref. note 8)	They attained the summit of Mt.Salcantay (6.271 m), the highest peak of Cordillira Vilcabamba of Peru Andes on 21st June (the 3rd ascent).After that, they climbed Mt.Quishuar (5,775 m), followed by the ascents of Mt.Mellizos (5,310 m) and Nevados Blanco (5,250 m).In August,8 people led by Y.Egami successfully went down the Vilcabamba river, the upper stream of the Amazon river, by rubber boat for a distance of 1,300 km taking one month. Yasushi Egami, Leader and S. Maeshiba, Deputy Leader and 8 others. A scientific research of the basin area of the Vilcabamba river by this expedition had resulted in many outstanding achievements. During a period of 1966 to 1968, established "8000m Club" within D.A.C to target at giant peaks of the Himalayas. 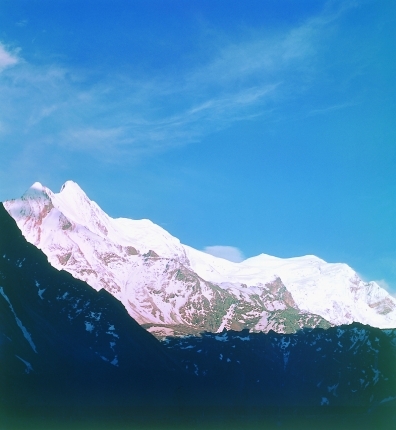 A reconnaissance of Mt.Dhaulagiri was made from August to October 1967. S. Okada, Leader and 3 others. In 1970, D.A.C made expedition of the main peak of Mt.Dhaulagiri (8,172m) (ref. note 9) and attained the summit on 20th October in the post monsoon season. The ascent was the second one in the world. T. Ohta, Leader and 13 others. 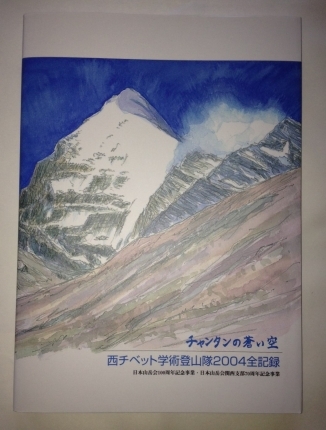 T.Kawata and a Sherpa reached the summit. In the past, high mountains with the summit altitude over 8000m had been challenged customarily by an organized national team, representing a country. In this respect, this was a remarkable challenge and success for the team being a private alpine club belonging to a private university. In the same year, K.Hirabayashi, a member of D.A.C joined the Mt.Everest Climbing team organized and sponsored by the Japanese Alpine Club and successfully attained the summit of Mt.Everest on 12th May 1970. In addition, Toshihiro Gotoh, joined the team to attack southern-east ridge of Mt.Makaru (8,481 m) (ref. note 10), which was organized by Tokai Section of the Japanese Alpine Club and could successfully open the route right beneath the summit. 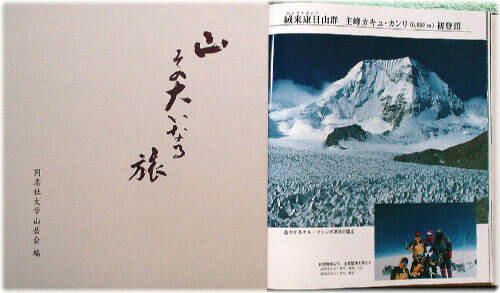 In 1977, D.A.C succeeded in attaining the summit of Mt.Garumush (6,244m) (ref. note 10) of Hindu Raji mountains on 26th August. T.Matsumura, Leader and 3 young members. One of the young members, T. Miyazaki entered in Assam area and made a reconnaissance of Mt.Kangto (7,055m) and its ranges. By that time, D.A.C have decided to change targets for expeditions to China and the study started. The change was thus made by an expressed desire of the Chinese Government to accept mountaineering parties in the world. 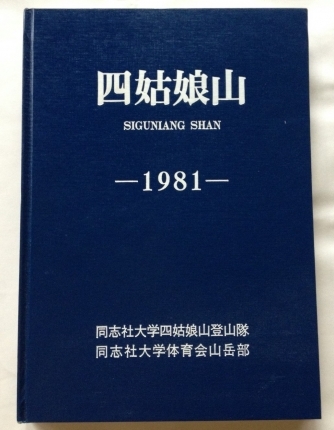 In 1981, D.A.C made the first ascent of Mt.Siguniang Shan (6,250 m) (ref. note 11) of Szechwan Province on 28th, 29th and 30th July. T.Kawata, Leader and 7 others. In 1985, Sino-Japanese Joint Friendship Expedition Team to Naimona'nyi made the first ascent of Mt.Naimona'nyi (7.694 m) (ref. note 12) on 26th May. With K. Hirabayashi, as the Leader of a climbing team, a total of 13 people,Chinese and Japanese, attained the summit, meanwhile, the Expedition Team consited of a total number of 55 including media people, reporters and scientific researchers. 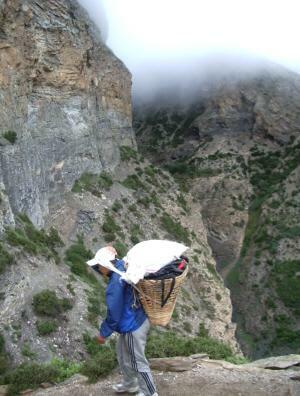 A complete research work was carried out for a total length of 2,000 km from Kashgar of Sinkiang Province to Tibet across the Kunlun ranges and ,after the ascent of Mt.Naimona'nyi, the research work was continued for another 2,000 km length along the Yarlung Zangbo river to Lhass on the northern side of the Himalayas. 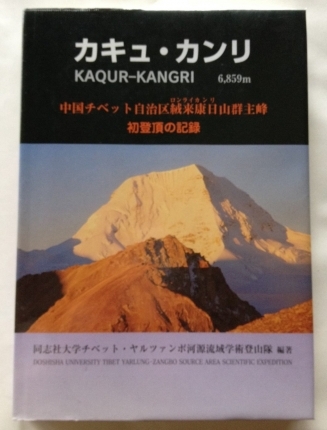 In 1988, D.A.C made the first ascent of Mt.Kangto (7,055 m) (ref. note 14) of eastern Himalaya on 24th March. S.Naitoh, Leader and 18 others including media, reporters and researchers. 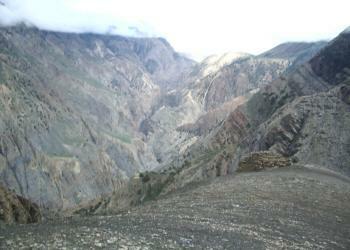 It is located in the deepest point of east Tibet and is very difficult to climb. 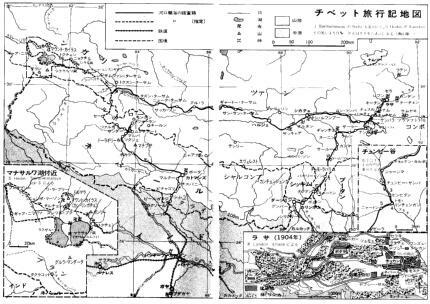 Since 1977, the plan had been progressed in parallel with Mr.T.Miyazaki's reconnaissance from Assam, India, situated in the southernside of the mountain. 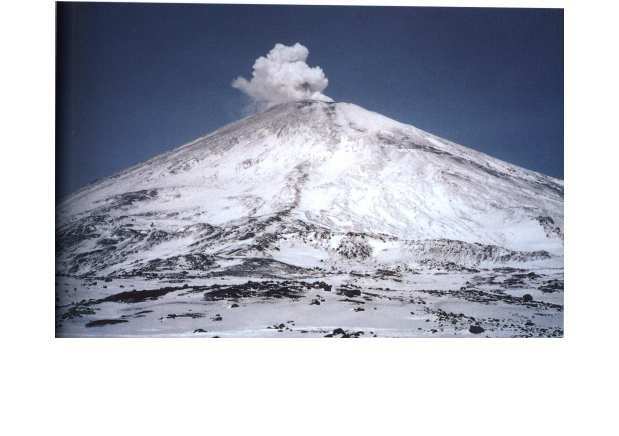 In 1991, in a joint work with USSR Science Academy, D.A.C developed expedition and mountaineering activities in Kamchatka. Attained the summit of Mt.Kilyuchevskaya (4,750 m) (ref. note 15) on 29th March. Conducted the field investigation work of Kamchatka Peninsula and made geological and ecological research. Y. Kawai, Leader and 28 others (of which 14 were USSR members). It was the first expedition of Kamchatka since the World War Two. Very soon after this expedition, the nation of USSR collapsed and a new nation of Russia was born. In 1997, D.A.C sent a reconnaissance party of 3 people to confirm an accurate location of Mt.Ronglai-Kangri (6,859 m) situated in the origin area of the Yarlung Zangbo river in September. Confirmed an approach route from Tibetan side. 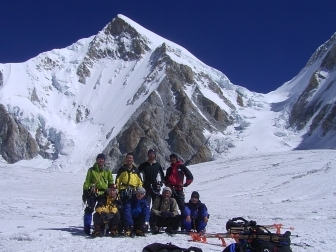 In 2007, D.A.C again dispatched the mountaineering and scientific field research expedition to the source area of Yarlung Zangbo river and on 14th September it successfully attained the highest summit of Mt.Kubi Kangri (6,721 m)(ref. 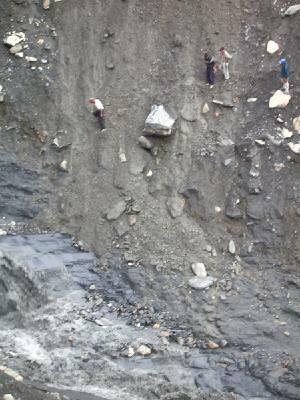 note 17) in Kubi Tsangpo area for the first time in the world. The expedition team was organized by 6 students, 4 from Doshisha University, and one each from two other universities. 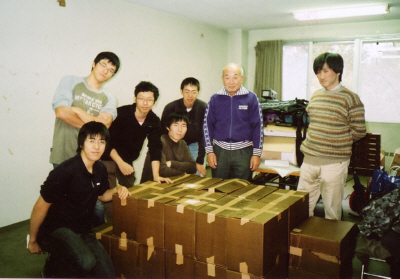 Toyoji Wada as Leader and Atsushi Senda as sub leader joined them for training and education. As above, aggressive activities of Doshisha University Alpine Club have been enhanced by positive build-ups of the first ascent of high peaks meanwhile keeping our untiring efforts to put our footmarks in a completely new frontier area. We wish to be humble in mind and yet we are so proud that, since we have so far been favored with good luck and God's help, we never suffered from no serious injuries nor troubles in the overseas expeditions and each project has been accomplished with good success. We strongly trust that our good luck has owed much to our alpine philosophy and our superb traditions. We will continue to play our role as a leader of mountaineering and exploration activities in Japan. Graduated from the ordinary school of Doshisha in 1890. (1872-1944)	A scholar on English literature, Professor of Rikkyo University, a student of William Shakespeare and JohnRuskin. In 1894, as a friend of Walter Weston, broadly walked and climbed the Hida Mountains and assisted Mr. Weston to write and publish the book named "Mountaineering and Exploration of the Japan Alps". Wrote many books, including "Three years in Tibet" in 1909 Madras. opened mountains on Northern Kuril islands, Saghalin, once belonging to Japan as well as mountains of Korean Peninsula and Taiwan. Was one of pioneers in this field. North-east mountain range in Saghalin, expedition by students of Doshisha University Alpine Club. 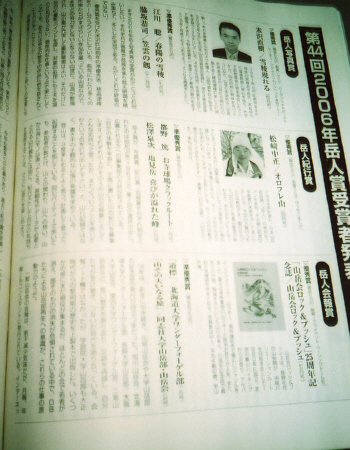 JAC Journal SANGAKU Vol.LXVI 1971, pp 18-21 in English and pp 79-91 in Japanese. Copyright © 同志社大学山岳会 All Rights Reserved.